Want to convert DVD movies on Mac OS? Want to convert DVD movies for iPod, iPhone, Apple TV, PSP, MP4 Player, etc? 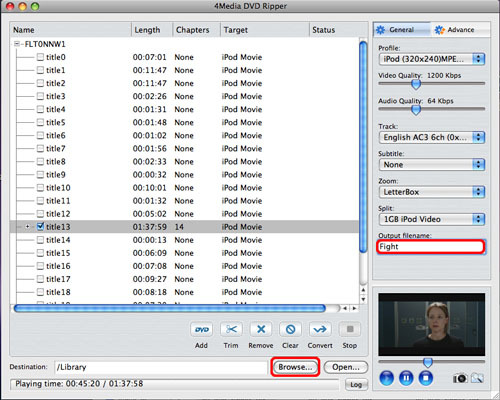 4Media DVD to Video for Mac is a great DVD Converter and DVD decoder for Mac OS users who want to convert their DVD to almost all regular video formats (AVI, MPEG, MOV, MP4, 3GP, FLV, H264, M4V, etc) for most popular mobile devices including iPod, iPhone, Apple TV, PSP, Creative Zen, and other MP4 and MP3 players.). 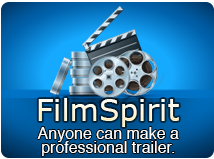 It offers complete options to select DVD audio track and subtitle, trim DVD movie, and set video parameters and so on. 4Media DVD to Video for Mac is able to convert regular DVD movie discs. Besides, this DVD Converter and DVD decoder is able to convert the following two kind of DVD movies. 2. A DVD ISO image, you can mount the ISO file in your virtual DVD emulator, say Daemon Tools, and then load the DVD movie in 4Media DVD to Video. 1. Select an output format from the format drop-down list according to the device you want to put the video on. 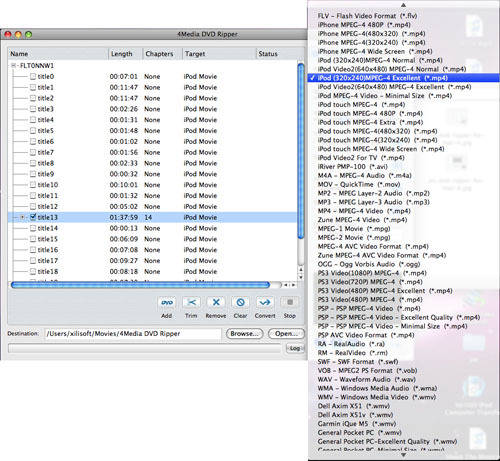 The DVD Converter can be used as DVD to iPod converter, DVD to iPhone converter, DVD to Apple TV converter if your need. Just choose the prepared format from the list. 2. Set the video and audio parameters in the general and advanced setting panels. 3. Name each title/chapter in the Output Filename field, and click the "Browse" button to choose the path where you want to save the output files or just keep the default path. Then click the Convert button to start the conversion. When the conversion is completed, you can click the "Open" button at the bottom of the main interface to browse the output files. 4Media DVD to Video for Mac, the best Mac DVD Converter and DVD decoder, enables you to get quality video files from the DVD movie.